An eGo U Review: An Easy (Cheap) Choice To Get You Started! Home → Vape Pens → An eGo U Review: An Easy (Cheap) Choice To Get You Started! A thousand steamy greetings, once again, to all my fellow vape enthusiasts and a hearty welcome to all of you who’re thinking of making the change from smelly cigarettes…trust me, that is one life-choice that you won’t be regretting anytime soon, or anytime at all. Switching to the awesome world of vaping has been one of the most rewarding experiences of my life to date, I now enjoy a quality of life I could never have hoped for, had I continued smoking, that’s why I consider electronic vaping devices to be one of the most important inventions of our time! Given the above, I’m on a mission to help others purchase the device that’s just right for them, whether they’re a seasoned pro or a newbie vaper. I know it’s a difficult choice to make if you don’t have the necessary guidance, given the overwhelming range of products on the market. This week, I had the pleasure of trying out the latest e-cigarette offering from Luxury Lites. Sit back and enjoy, we’ll see whether this little baby is worth your time and money, just leave it to me! This Dallas-based brand prides themselves on their easy to use, affordable and high quality e-devices. They’re ideal for the cigarette quitter who wants to start out with a product that’s easy on the budget and doesn’t require some sort of degree to operate effectively. I’m undertaking this Luxury Lites review because on the surface, the eGo U ticks all the boxes: now let’s take a closer look to see just how good an option it is for the first time vaping pen buyer! 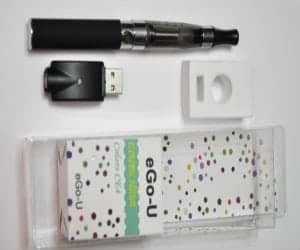 For this eGo U Electronic Cigarette Review I obtained both the Luxury and Standard editions, because they feature different eGo batteries I wanted to be sure about the functionality of both. I vaped a 50/50 blend juice that I’m very familiar with, so that I could properly gauge the vaping quality and flavor hit of these devices. Looks: Following the standard format for this size and style of vaping pen with a detachable mouth piece, top loading tank and discretely sized, rubber grip eGo battery…the weight, hand feel and overall look is at least one of good quality when set amongst it’s peers. It’s available in a range of colors, with your battery and tank color matching up. A nice bright blue LED and stainless steel connection bands give it a high quality finish. Great Tank: The dual coil, 4 wick system on this little CE4 Tank means maximum absorption and really... the best vapor production you could possibly hope for out of such a discreet vaping system. The tank is easy to fill, you just unscrew the mouthpiece and drip down the side of the chamber. Be sure to let the tank stand for a few minutes after filling so that those wicks get a chance to soak. Also, if you want to avoid a burned flavor, be sure to refill when your liquid gets below the halfway mark and you’ll enjoy good flavor from this piece. During this review, I found this tank and battery combo is a power paring that really gives you the most you could ask for with these stats. Ease Of Use: It doesn’t get simpler. Filling, cleaning and charging are made as easy as possible for the beginner and so I consider this to be a great option for the vaping newbie. The standard five touch button system is as simple as can be and also prevents your piece from switching on accidentally. Newbies, check out this definitive guide to vaping, to get you started. Charge Time and Battery Life: This battery is perfect for the beginner or light vaper who wants about 6-7 hours vaping time. Charge is quick and easy at about 2.5 hours. Not For The Heavy Vaper: I consider this piece to be better suited to the light or medium vaper, especially since this kit only comes with one battery, meaning you’d have to go for a full 2.5 hours without joy! Looks: With the looks being almost identical to that of the standard piece, namely a three piece eGo style vaping pen kit, this is yet another stylish and discreet product. I really love the nifty little zip case that’s included in the Luxury kit, it makes carrying your piece with you, along with your extra battery for quick changes, so much simpler. The 1100mAh battery is slightly longer than the 650mAh, however that actually gives it an even nicer, sleeker look and I definitely prefer the extra length. Great Tank: Once again, the CE4 tank is a neat little dual coil, 4 wick system that provides excellent flavor, even more flavorful vapor production than on the standard kit. A great product. Ease Of Use: Just as easy to use as the standard kit. Charge Time and Battery Life: Okay, so this battery can take about 6 hours to charge, however it will provide you with solid performance all day, about 10 hours, plus the passthrough system means you can vape whilst charging without damage to your battery or tank. Everything you need: Because this kit comes with two batteries and two tanks, you and your partner can both enjoy the new experience of vaping or alternatively, if you’re planning a long outing, you can take the extra battery with you…this will allow you to quickly change up, no worries! None, this is an awesome, affordable kit with a really solid battery and durable tank, ideal for the experienced vaper to carry with to work or for the newbie who’s looking for an effective, reliable system. 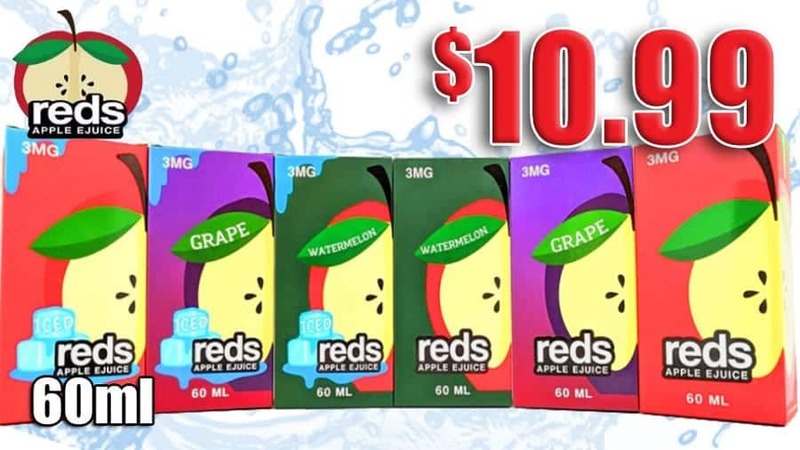 This brand is perfectly suited for the beginner vaper who’s looking for a truly affordable, easy to use system. I was definitely impressed by my first experience with both eGo U kits from Luxury Lines and I'd definitely recommend the Standard kit for light smokers who’re looking for a crossover piece and the Luxury kit for heavy smokers who’re looking for an all-you-need system with an awesome battery, along with great and flavorful vapor production. All the best and congratulations on the change you’re making, may you enjoy many years of happy, far healthier vaping, just like I have.